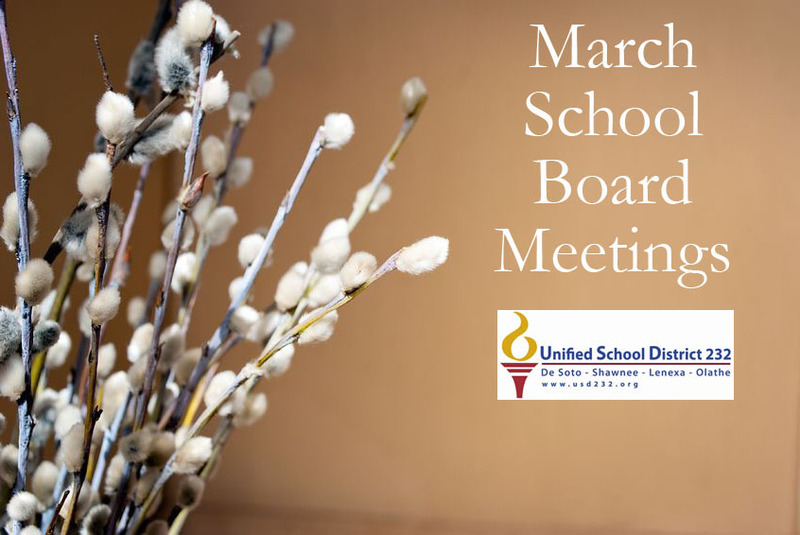 The De Soto School District’s Board of Education will meet Monday, March 5, at 6 p.m. In addition to routine items on the agenda, such as considering bids for laser grading athletic fields and approving extended-day trips for students, board members will have a full schedule. Because the federal Individuals with Disabilities Education Act requires districts to offer special education services, one report on the board’s agenda is of particular educational policy interest. According to Joan Robbins, Director of Special Services, next year the district will experiment with a new way of offering gifted education classes to elementary school students. (Unlike most states, Kansas includes gifted students in its special education programs). Also, the district will be cooperating with a University of Kansas Study of assistive technology for students with disabilities. For the past couple of years, Robbins said, her staff has been trying to figure out a better way to offer gifted education classes. Because there are not enough students to require a full-time staff member at each location, gifted-education teachers must spend a great deal of valuable staff time traveling around the district. In the pilot program, buses will transport students from four of the district’s elementary schools and one private school to a central gifted-education center at Prairie Ridge Elementary, where they will attend a two-hour class once a week. In addition to Prairie Ridge, elementary schools participating in the pilot program will be Clear Creek, Riverview and Horizon. Sacred Heart will be the private school participating. At the other end of the exceptional education spectrum, students with disabilities may benefit from the use of assistive technology improving access to education and jobs. Special Education Department researchers will confidentially review records of 75 De Soto students to see if any could benefit from additional technology, such as modified computer keyboards, hearing aids or motorized wheelchairs.